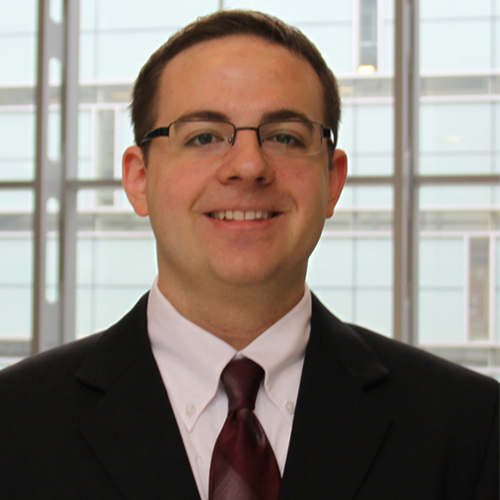 Bio: I’m a NSF Graduate Research Fellow and Ph.D. candidate in aerospace engineering at The Ohio State University. I received my bachelor's degree in aerospace engineering from The Ohio State University with highest honors and research distinction in 2010. I’m a member of Sigma Gamma Tau aerospace engineering honorary, Tau Beta Pi, and a student member of AIAA. Studying under Prof. James Gregory, my research interests focus on the unsteady fluid mechanics of dynamic stall for helicopters, fighter jets, and wind turbine applications. Entry Summary: A low-cost, high-impact tool with national scope is proposed to facilitate coordination among the stakeholders in STEM graduate education by establishing a web-based gateway that will function as an educational 'passport' for graduate students – helping them plan their degree journeys while benefiting from the assistance of a broad support network. The portal would be tailored to the STEM graduate community and comprise several dimensions: a searchable database for advisor matching, personal degree management tools, access to career development resources from prospective employers, a job database powered by STEM employers, a centralized listing of funding opportunities, and a publicly-accessible forum for communicating research work to broad audiences. Bio: I am the founder of the Duke/UNC Scientists with Stories Project. I’m a PhD student in Ecology at UNC Chapel Hill. In 2010, I received a Masters degree from Duke University. I’ve collaborated extensively with conservation groups, tackling issues related to coral reefs and climate change. Before choosing a career in science, I worked in film production at National Geographic Television. Entry Summary: The Scientists with Stories Project started as an idea, formulated by students frustrated by the chasm between scientists and the public. This idea has been implemented on the small scale at Duke and UNC-Chapel Hill. Its goal, however, is nationally relevant: empower the next generation of scientists to not simply distill facts but share the wonder and relevance of science beyond the ivory tower. Audio, photography, and web video lend themselves to narrative structure and public dissemination. In collaboration with my peers, I propose an instructional initiative for STEM curricula, one that empowers students to master digital media, share research through narrative, and serve community needs. Bio: We are graduate students in the Odum School of Ecology at the University of Georgia, where we study the ecology and evolution of infectious diseases in wildlife populations. We regularly meet over dinner with three other students (together, we are the "Parasite Ladies") to talk about parasite ecology, research ideas, or recent papers in our field. Sarah Budischak studies the consequences of being infected with multiple parasites at the same time; she currently studies African buffalo. 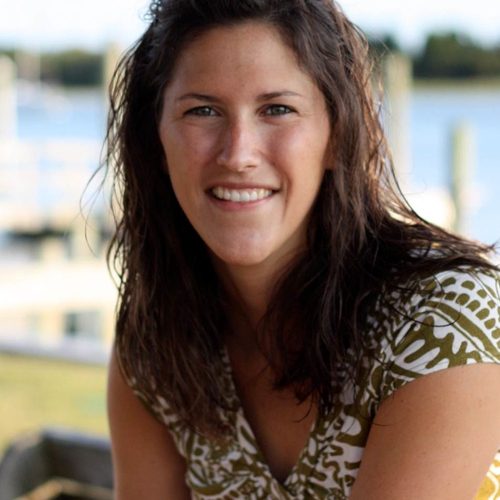 Sara Heisel is interested in physiological measurements of stress in free-living animals in response to anthropogenic disturbances and how this corresponds to immunity and fitness. Dara Satterfield studies how changes in animal migration can influence infectious disease prevalence and transmission. Entry Summary: We propose three improvements to graduate education to help retain and advance women in STEM fields: (1) preparing graduate students to overcome career obstacles through mentorship and dialogues about career decisions and work-life balance; (2) targeting the subtle biases and stereotypes that hinder the advancement of women; and (3) empowering graduate students to improve universities and STEM workplaces to be more flexible and equitable. Our proposed ideas will fill a gap in current women-in-science initiatives by targeting graduate students as they progress through their graduate education and begin making career decisions. 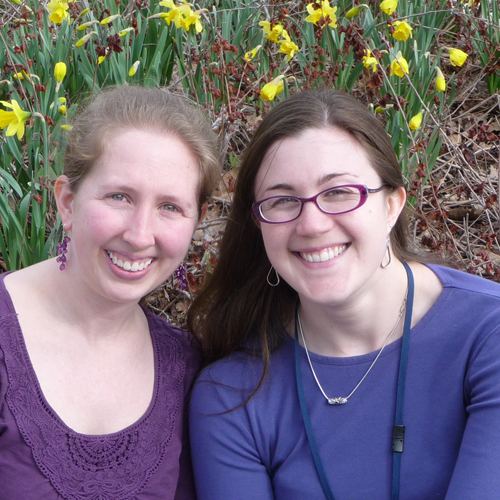 Bio: We are both graduate students at Washington University in St. Louis with experience doing science outreach. Melanie Bauer, a 3rd-year graduate student in psychology, has presented science to the public through participation in science outreach and science journalism. Eric Hamilton, a 1st-year plant biology graduate student, is working to establish a strong relationship between area plant biologists and community gardeners. Entry Summary: We scientists try and often fail to communicate our research to the general public. To address this issue, we propose a graduate level course to train students to translate the jargon of their fields and communicate a message that is interesting and relevant for the general public. We also propose a practicum component for this course in which students would practice their science communication skills with local, regional, and national audiences. 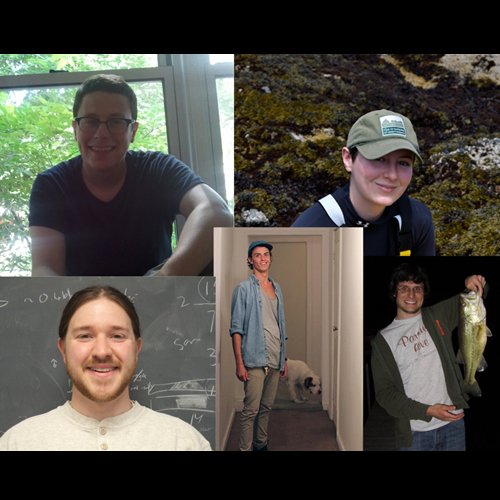 Bio: We are a diverse and broadly thinking group of graduate students from the University of Chicago studying ecology and evolutionary biology. Sebastian Heilpern seeks to understand how fish extinctions can influence tropical freshwater ecosystems. Ben Krinsky is exploring how recently duplicated genes acquire new molecular functions and evolve. Rob Arthur works on evolutionary genomics, trying to elucidate how complex networks of transcriptional regulation are built and maintained by evolution. Courtney Stepien studies the phylogenetic and functional ecological community responses to disturbance. And Colin Kyle models how climate change influences the spread of infectious diseases. Beyond research, our passions include conservation, outreach and education, and our team members have worked in biotech, conservation organizations, zoos and government institutions. Through these experiences we have had opportunities to individually forge connections with the broader network of organizations that work with scientists. However, we see the need to instill a broader culture of collaboration and a larger system to facilitate these connections for graduate students in STEM fields. Entry Summary: In our proposal, we have developed a graduate assistant program that, if implemented, will simultaneously create opportunities for graduate students to serve society in a variety of non-academic settings while expanding the range of career options for STEM graduates. These external graduate assistantships are equivalent in compensation and time commitment to a teaching assistantship. Harnessing the structure already in place for TAships allows broad adoption of the program by many universities. With this program STEM students can easily broaden their training while still carrying out their primary research obligations. 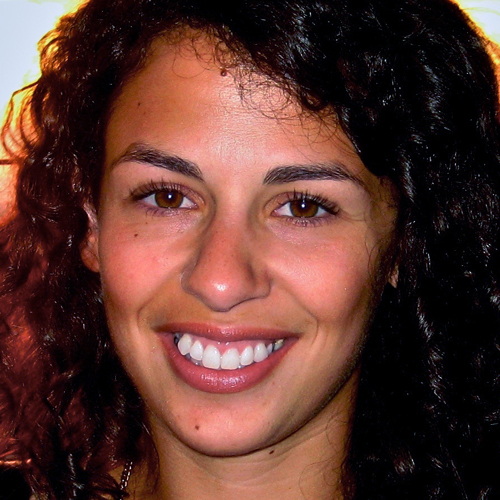 Bio: I studied neuroscience at Bowdoin College in Maine before working as a research technician for two years at the University of California, San Francisco. While applying to PhD programs in neuroscience, my life and my research collided in the most bizarre way, and I told that story on an episode of NPR’s Radiolab. I’m now back in my hometown of Seattle, studying ALS (Lou Gehrig’s disease) at the University of Washington. I also write a website, branchingpoints.com, about career exploration for science graduate students. Entry Summary: A solution is needed to address both the lack of resources for career development, as well as the shortage of data about STEM student career pathways. 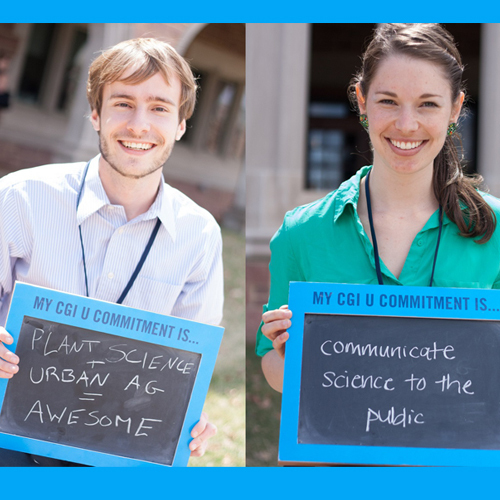 A national online platform for STEM graduate students could achieve both of these objectives, while also creating a collaborative, interdisciplinary community for nationwide graduate student support. The online platform, accessible to STEM graduate students enrolled at accredited US universities, will pursue four objectives: 1) Facilitate the identification of personal strengths, interests and career values; 2) Provide comprehensive information about career options; 3) Offer resources for the development of professional skills and: 4) Collect, analyze and share anonymized data about students’ career decision making patterns. 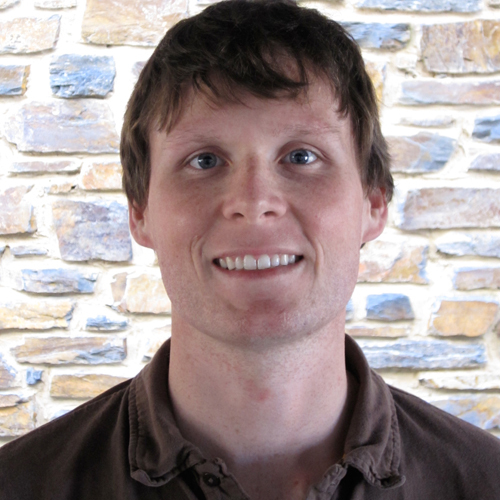 Bio: I am a fifth year graduate student at Duke University in the University Program in Genetics & Genomics. My current research interests include cerebrovascular disease, somatic mutation, and next-generation sequencing. Entry Summary: The overarching purpose of this proposal is to allow graduate students to develop as unique individuals by creating a model of graduate curriculum where students identify the career paths that most appeal to them and develop the skills to effectively prepare them for those careers. This could be accomplished through career mentors and courses. Specifically, I recommend a full semester course in grant writing and modular courses in scientific skills. Instead of a single course to cover all of the career information and skills, the content units can be divided into modules, each taught by a different faculty member. 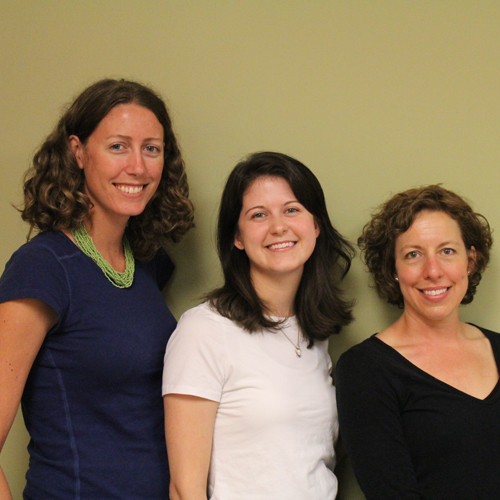 Bio: We are graduate students studying anxiety and depression in the Neuroscience Graduate Program at the University of Michigan. Through our previous experiences in outreach and education, we have realized a passion for promoting lay-audience communication—especially for the biological sciences. We are particularly enthusiastic about our proposed project RELATE, because it directly combines lay-audience engagement training with community service to target adults underserved by outreach efforts. In our (limited) spare time, we love going swing dancing, playing board games, and exploring outdoors. Entry Summary: Public audiences are fascinated by scientific discoveries, as indicated by the popularity of public radio series like Ira Flatow’s NPR Science Friday and the viral spread of TED talks. However, scientists and trainees are infrequently given systematic instruction or opportunities to practice engaging with lay-audiences. We propose to address this crucial problem by implementing RELATE (Researchers Expanding Lay-Audience Teaching and Engagement), a training-service initiative that unites specific instruction in lay-audience communication with outreach opportunities designed to connect with and communicate about scientific research to local communities. The challenge goes live on February 15, 2013. Ideas must be submitted by 8pm Pacific Time on April 5, 2013.
unity choice voting will open on May 15, 2013 and close on May 29, 2013. Winners will be announced publicly on June 13, 2013. Contest winners will be awarded cash prizes from $1000 to $3000. The prizes will be awarded as checks made out to the registered individual or team leader and may be shared among any team members on the registration form at the team leader’s discretion.